Face Shaving! It’s a new, (but actually super old) beauty technique you need to try ASAP, so let’s get right to business. 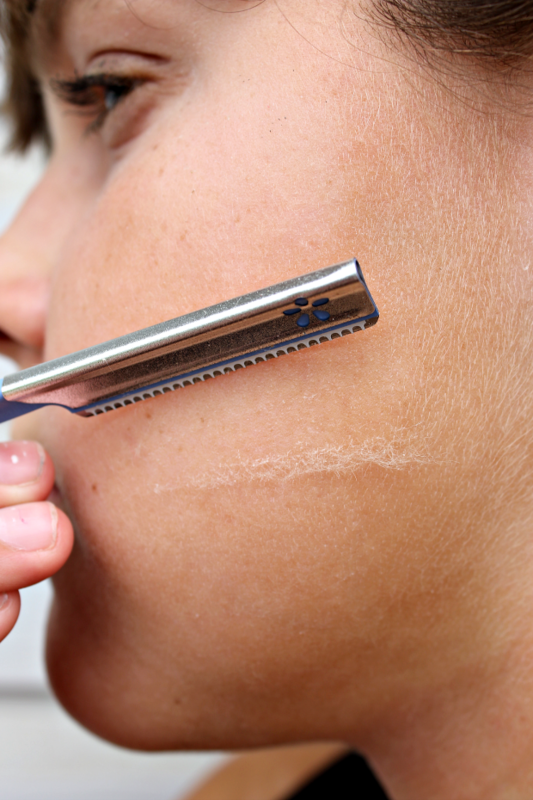 Here’s the real deal: is face shaving really a thing? It totally is, and it’s not even new. Asian women, the mavens of all things beauty, have been doing it forever and a day, with amazing results. Does that seem totally weird? It’s okay to feel weirded out if you, like me, are from a western nation and have been told forever by everyone in “the know” that shaving your face is a mortal sin. But as it turns out, face shaving is one of the best things you’ve never tried, and it’s time to remedy that business. I didn’t know face shaving was an actual thing until I started seeing a Vietnamese aesthetician a few years ago who razored my face after she gave me a facial once, and I’ve never looked back. My aesthetician is Vietnamese and before she moved to the U.S. 6 years ago, owned several beauty salons across Vietnam and Laos. It took her awhile to talk me into face razoring, but once she razored my face like a pro, and shaped my eyebrows, I was sold. 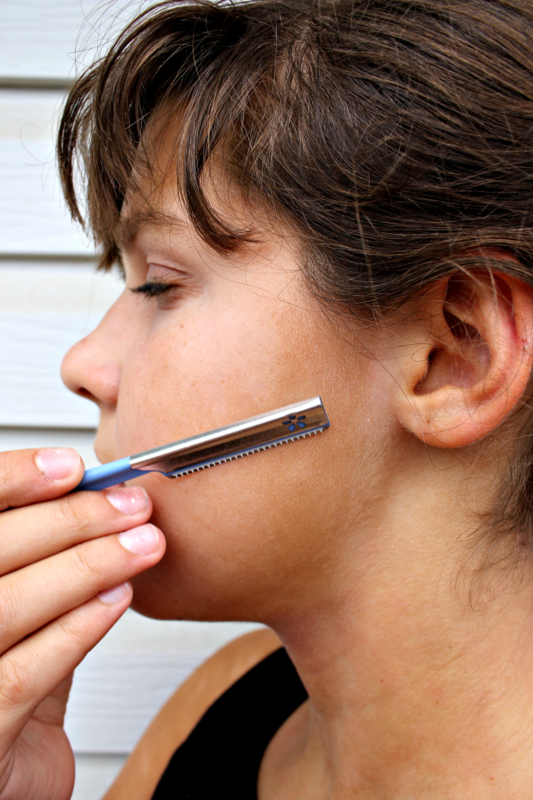 Shaving with a straight razor is super amazing because it exfoliates your skin while it trims your hair. All the dead skin and hair accumulating on your face contributes to breakouts and wrinkles, and let’s just try to avoid those, shall we? Men who shave their faces every day end up with fewer wrinkles and better skin around their beard line (Is that a thing? Yes. I double checked and it’s totally a thing.) because they’re unwittingly exfoliating every single day. There’s zero reason the ladies shouldn’t benefit from the same exfoliating, hair removing benefits. 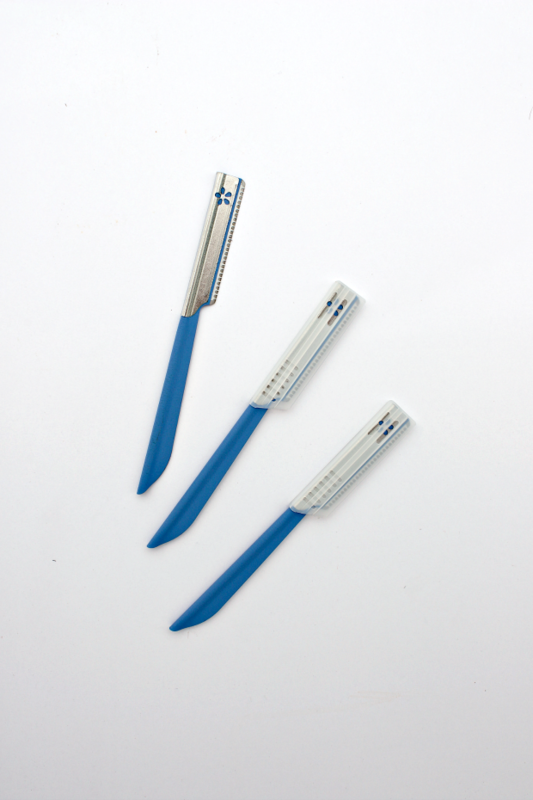 Buy a razor specifically for face razoring. 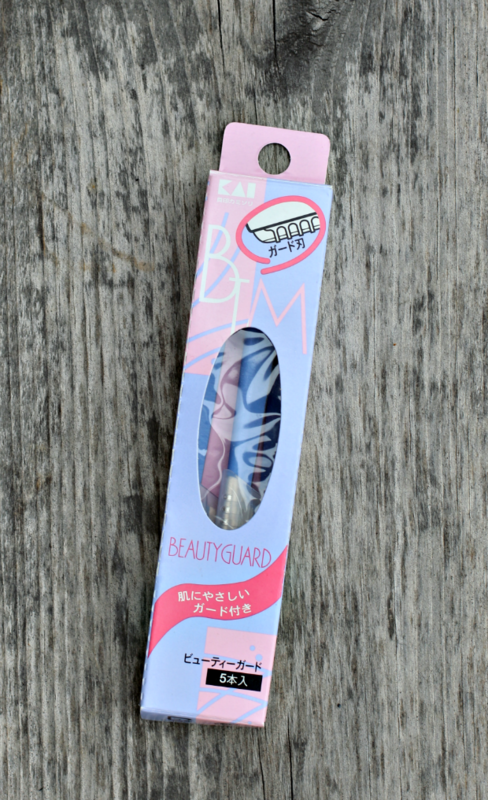 I buy mine at a Japanese grocery store in Los Angeles but a lot of beauty stores, including Amazon, sell them. Remove your makeup + wash your face. Find a mirror and some good lighting. On clean, dry skin, gently razor your cheeks the same way you would shave your legs, from the top down, with the razor at a slight angle. 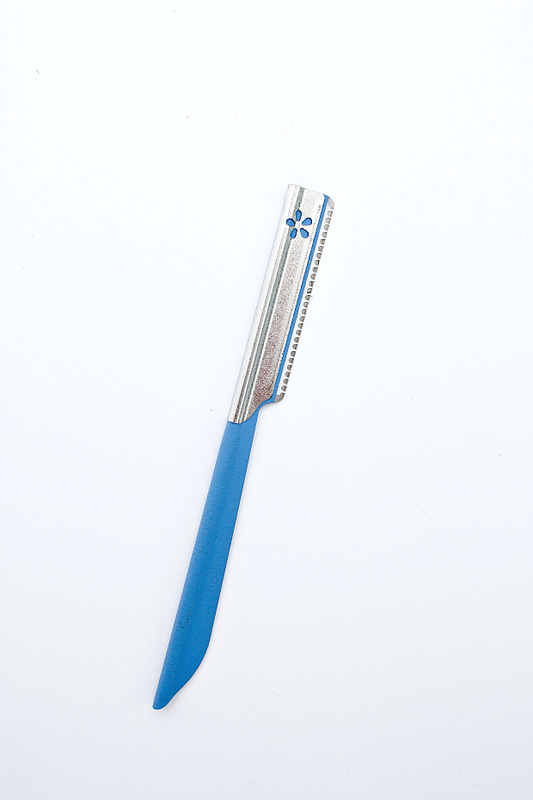 Use short strokes and razor down your face in small patches. Save the eyebrows and jawline for your second time. Look how much peach fuzz we razored off my daughter’s face with just one small stroke. It’s amazing, cost effective, good for your skin, and feels like a super dream once you’re done. Face shaving for everyone! How often do you do this so you don’t end up with man stubble? Deep thought! Thanks for cottirbuning. I do agree with some of the comments about the bookcase making you look a bit shorter – but I am really short and tend to assume everyone is taller than me. I am actually surprised to find out that a lot of the bloggers I follow are short too. Well, not you obviously. Thanks for your post. I would also like to comment that the very first thing you will need to accomplish is verify if you really need credit improvement. To do that you need to get your hands on a duplicate of your credit score. That should never be difficult, since the government necessitates that you are allowed to have one absolutely free copy of the credit report every year. You just have to ask the right men and women. You can either look at website with the Federal Trade Commission or perhaps contact one of the leading credit agencies immediately.